I have finally finished the 3rd painting in the Land Wight series! 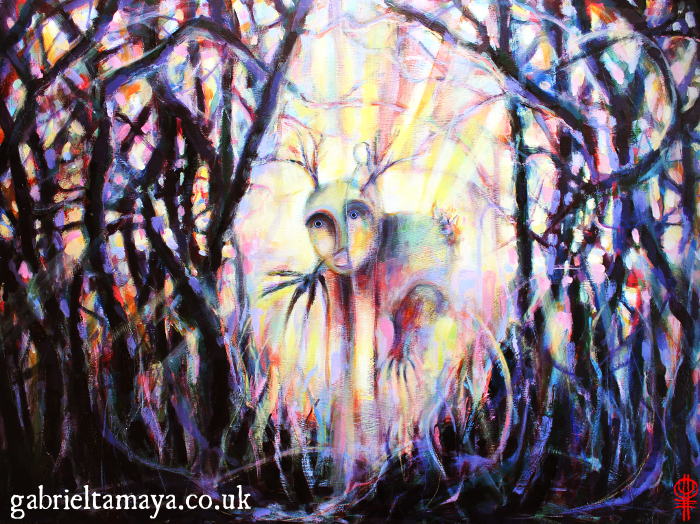 This painting is inspired by my initial approach of the local Wights of the forest I was working in. A very distinct energy and presence, a powerfully elemental and wild sentience, curious about being noticed. I have never felt so human as when I am in the presence of land spirits. They roam on the very edge of my vision, the periphery of my mind, beings so old and primal… they stir memories deep within me of a time before there were people and so called ‘civilizations’.